 The Canadian Network of Northern Research Operators (CNNRO) is a network of research support facilities providing specialized technical services to academic, government, private and international scientific research sectors. Our member facilities provide the know-how and infrastructure that make research possible in our nation’s Arctic and sub-Arctic regions. Our network is at the cutting edge of knowledge creation in northern Canada. CNNRO member facilities range from oceanographic research vessels and long-established research institutes and observatories, to seasonal field stations and un-staffed remote monitoring installations. We are widespread, representing every major ecological region in Canada’s North. To advance the collective interests of Canada’s northern research infrastructure operators through coordination, outreach and joint action in order to help them achieve excellence in technical and logistical support individually and as a network. Support exemplary science and knowledge creation in Canada’s North as a means of advancing the sustainable well-being of Northerners, northern communities and Canadians as a whole. Fully address Canada’s international obligations for Arctic data collection and knowledge exchange within the circumpolar world. Strengthen the many northern communities and regions in which our facilities are based. Support a new generation of northern scientists and encourage the engagement of Northerners in every phase of northern research.